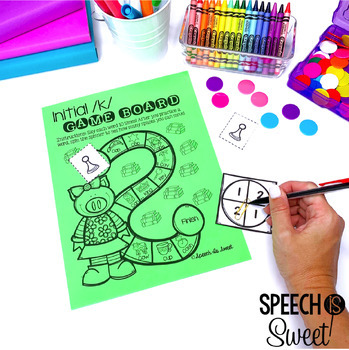 These Articulation Game Boards are designed to save precious time! 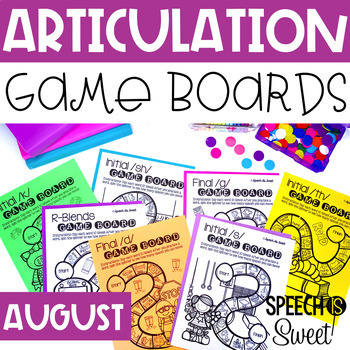 This August articulation packet contains 74 unique game boards (no two boards are the same) and are perfect for back to school! Each game board has a school theme - perfect in August/September or year around! 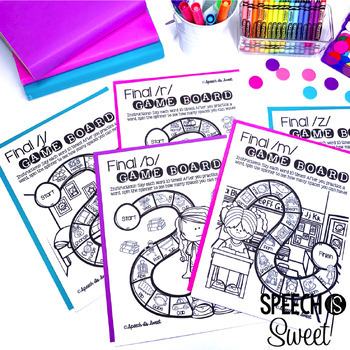 These game boards require no color ink, no cutting, and no laminating! Just print and go have fun! There are four game boards for each sound (2 in the initial position and 2 in the final position) and 2 game boards for /s/ blends, /r/ blends, and /l/ blends. Each game board contains 10-12 words containing the target sound and each word is represented by a picture to support non-readers! You can add your own dice, spinners, and game pieces OR you can print out a page of game pieces to provide to your students. This packet also contains a page of ideas! You can send them home for homework, have students decorate the boards during one session and then play it in another session, or have students play their game and color their boards while they wait for their turn to engage in repetitive drills. 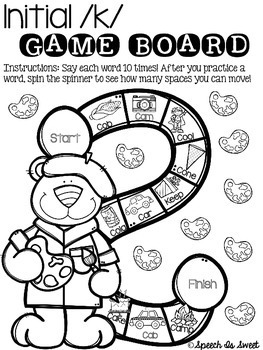 These game boards are ideal for large groups and allow for differentiation. Thank you for visiting my store! Please follow for future updates.